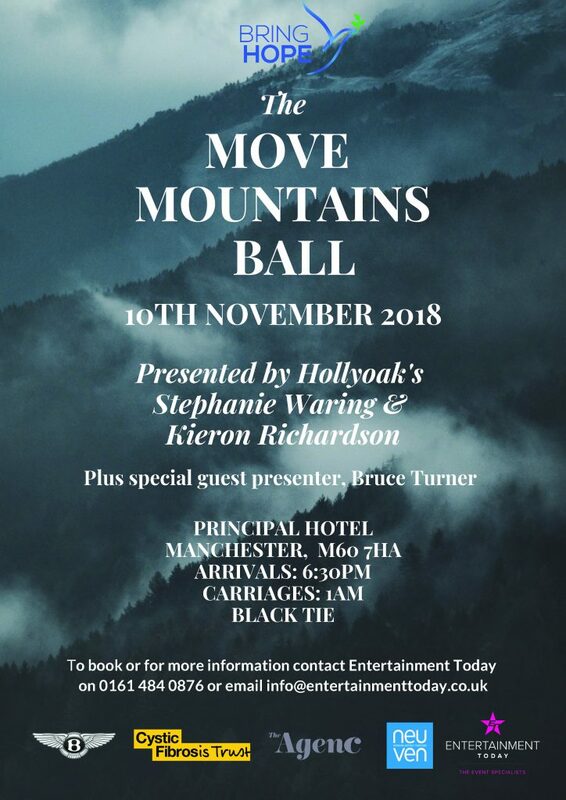 The team at Bring Hope Humanitarian Foundation are putting on their inaugural Move Mountains Ball on 10th November at the gorgeous Principal Hotel in Manchester, along with their close friends at The Cystic Fibrosis Trust. The evening is dedicated to celebrating the amazing work both Bring Hope Humanitarian Foundation and The Cystic Fibrosis Trust do and to raise vital funds for both charities, but of course is also dedicated to having an amazing time with wonderful food, drink and entertainment. We’re also thrilled to announce that Hollyoaks’ very own Stephanie Waring and Kieron Richardson will be comparing on evening and there will be a very exciting headline act. Bring Hope Humanitarian Foundation provide the most desperate people with what they need. From vital Medicine to educational supplies, and empowering programmes such as Sewing Hope, Football Initiative and the Healing Project, which provides a purpose for these people and helps develop their own skill sets. The Cystic Fibrosis Trust is fighting for a life unlimited for everyone affected by cystic fibrosis. Its mission is to create a world where being born with CF no longer means a lifelong burden of care and an early death. 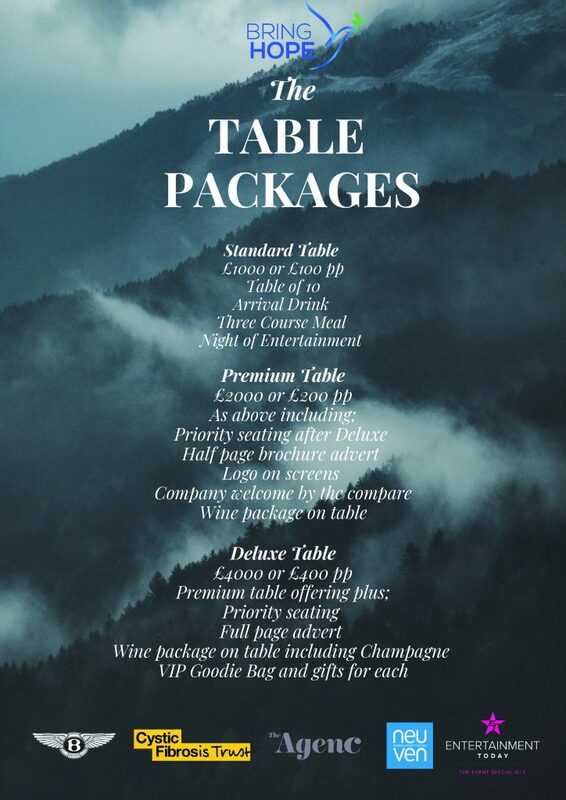 Please find below our flyer with all table and ticket prices. Any questions don’t hesitate to call. I consent to my data being held by Entertainment Today so that I can be updated on news about the Move Mountains Ball and other charity events (please note if this box is not ticked, you will not receive any further information).